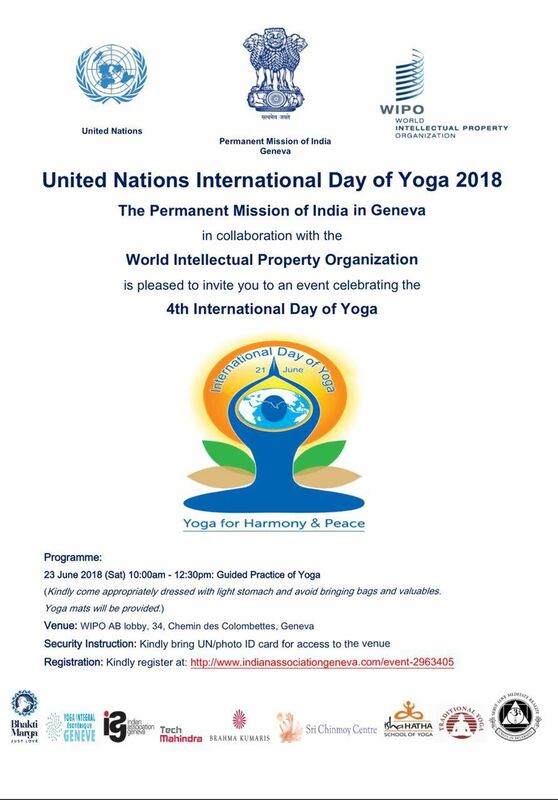 The Permanent Mission of India in Geneva in collaboration with the World Intellectual Property Organization and Indian Association Geneva is pleased to invite with family and friends to a special event celebration, the 4th International Day of Yoga at WIPO, 34 chemin des Colombettes, Geneva on Saturday, 23 June 2018 from 10:00 - 12:30 hrs. If you plan to attend the event, may we request you to please register and specify names of all participants attending the event before 18 June 2018. Further, please make sure you bring your Personal Identity Card at the venue, without your Identity card it is not possible to get entry to WIPO. 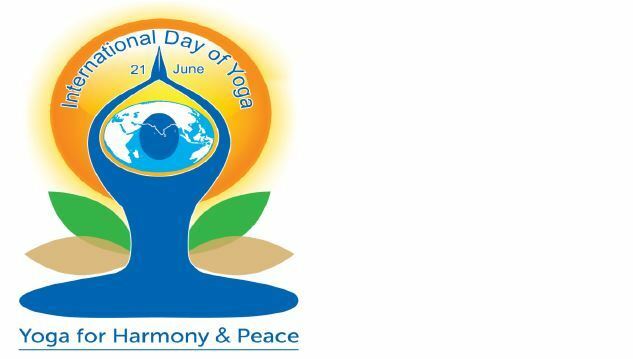 The official invitation from PMI is available here. Look forward to seeing you with friends and family.